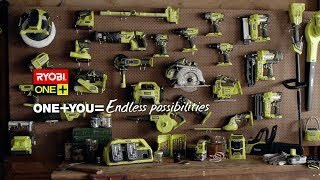 Experience the future of mowing with the RYOBI 18V ONE+ 4.0Ah lawn mower kit. This completely electric mower saves you the hassle of refuelling and re-oiling, and inhaling engine fumes. As a part of the ONE+ range, this 18V lawn mower offers more convenience. The battery, lawn mower and charger are compatible with over 60 other indoor and outdoor tools in the ONE+ range. Backed by a 6-year tool warranty and 3-year battery and charger warranty, maintaining a professional lawn has never been easier. Get your RYOBI 18V ONE+ 4.0Ah lawn mower kit from your local Bunnings Warehouse today. 18V ONE+ 4.0Ah 14" Lawn Mower Kit is rated 1.0 out of 5 by 1. Rated 1 out of 5 by Akane from Becareful of the One+ logo I bought this lawn mower kit, thinking that I can use some of my other 2.0Ah Ryobi One+ batteries as well which what this One+ system is all about. Unfortunately whilst the 4.0Ah battery allow the mower to do a mediocre job, my 2.0Ah battery which is part of the One+ system doesn't work with this lawn mower. The mower will spin with no load, as soon as it sees a single blade of grass, it'll stop. I have emailed Ryobi but yet to give me a response as to why this is not a fault. If you have a small lawn, this kit is "OK", but if you want to use your other One+ batteries, make sure they're 4Ah ones, and not fall into the same trap as I did thinking other One+ batteries will work, the 2.0Ah One+ batteries won't work at all.